Hypothyroidism in men is often overlooked due to the big misconception that thyroid problems are exclusive only to women. It’s true that one doesn’t hear a lot about hypothyroidism in men, but it’s not because men aren’t susceptible. On the contrary, many men do suffer from hypothyroidism but unfortunately there is very little awareness and the condition is more often than not, misdiagnosed. 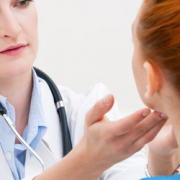 Because most doctors use weight as their main indicator as to the possible involvement of hypothyroidism, they all too often dismiss all of the other hypothyroidism symptoms that their patients present when their weight is not a problem. Needless to say, there’s men need to do a much better job at recognizing the symptoms and addressing them with the appropriate hypothyroidism treatment. If not addressed, a lack of thyroid hormone can eventually become a serious health problem which I’ll explain a second. This is why it is so important to have a good understanding of the symptoms of hypothyroidism in men and address the condition sooner than later. The longer you wait, the more difficult and longer the road to recovery. I want to cover some of the more common symptoms of hypothyroidism in men. But do keep in mind that this is just a very short list and there are a lot of other symptoms beyond these. 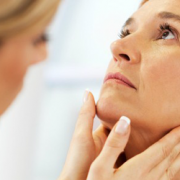 For a more complete list, be sure to check out this list of hypothyroidism symptoms. And keep in mind that eating the right hypothyroidism diet is key in helping men to overcome hypothyroidism. Fatigue is one of the first signs that your thyroid is either not producing enough thyroid hormone or that your thyroid hormone is not getting delivered to your cells properly. Hypothyroidism in men, if not addressed, will eventually interfere with your ability do normal activities. Some men report that they feel sluggish or experience a decrease in mobility and reaction time. Many complain that they feel so tired at work that they are concerned about falling asleep on the job. Many men write fatigue off as something that just occurs with age instead of realizing that it’s not normal and that there is something that you can do about it. Oftentimes stress hormones can keep you going as long as you stay active but once you sit down and try to relax, the fatigue kicks in and you have a difficult time staying awake. 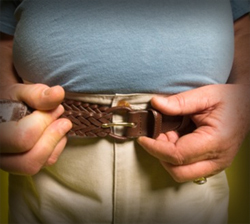 Weight gain is yet another symptom that most men completely write off as a byproduct of age. You may have been an avid athlete in your youth but today, your weight is beyond your control. Your thyroid controls your metabolism so it does play an integral role in the number of calories you burn, but it goes beyond that. 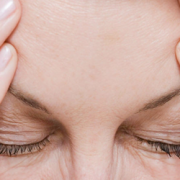 Hormonal imbalances that are a byproduct of hypothyroidism play a big role as well. Stress hormones in particular cause fat to accumulate around your midsection. In any case, slow and unexplained weight gain or the inability to lose weight are both common symptoms of hypothyroidism in men. This is a big one that men typically don’t talk about. But given that the little blue pill is one of the largest grossing drugs every single year, it’s safe to say that many men are relying on a little extra help. Hypothyroidism can impact a man’s reproductive organs and associated hormones. A study on the Prevalence of sexual symptoms in male Hypo- and Hyper-Thyroid Patients, released by the Journal of Clinical Endocrinology & Metabolism in December, 2005, indicated there is a definite connection between specific sexual problems and hypothyroidism in men. 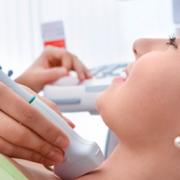 The men were examined when their thyroid levels first revealed a problem with their thyroid and again two to four months after their thyroid levels returned to normal range. Researchers found that men whose thyroid returned to normal function experienced prompt reversal of the symptoms of hypothyroidism in men. Hypothyroidism is also the cause of a lot of muscle aches, pains, cramps, tenderness, and stiffness as well as pain and swelling in the joints. What have we learned from men so far? That most are going to ignore these symptoms and continue on with their restricted lives instead of dealing with the problem head on. These aches and pains can be contributed to a number of causes. For starters, poor blood sugar handling is common cause for headaches and migraines, especially when the brain isn’t getting the nutrition it need to function properly. There’s also the issue of calcium retention that occurs with hypothyroidism. When connective tissue retains calcium, it will begin to calcify the connective tissue leaving you stiff and uncomfortable. Nutrient and mineral imbalances such as a magnesium deficiency which is also associated with hypothyroidism in men can also lead to aches, pains, and muscle cramps. The increased estrogen associated with hypothyroidism can cause nerve swelling which can contribute to numbness and MS type pain symptoms. It has been known since the 1940’s that cholesterol increases in direct proportion as thyroid function decreases. Yet today, doctors don’t seem to be aware of this very telling relationship. In fact, during the 1940’s, doctors used cholesterol as a sign of hypothyroidism and would track it as an indicator that their hypothyroidism treatment plan was working. 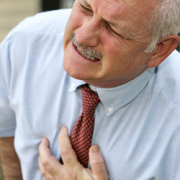 Your cholesterol will lower to normal levels at the same rate that your thyroid function returns to normal. The medical community likes to use cholesterol as a risk indicator for heart disease but the truth is that it’s hypothyroidism and its negative effects on your body that lead to heart disease, not cholesterol itself. 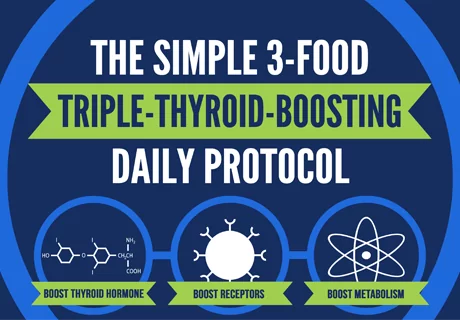 Thyroid researcher and scientist Dr. Broda Barnes demonstrated this very phenomenon. In one of his research studies, he showed that by removing the thyroid gland and inducing hypothyroidism, heart disease developed. And by reversing the hypothyroidism, heart disease disappeared. Even today, high cholesterol is becoming one of the more common hypothyroidism symptoms in women. These are all common signs and symptoms of hypothyroidism in men that largely go undiagnosed or are diagnosed and improperly treated independent of hypothyroidism. By properly treating your hypothyroidism and taking it seriously, you can literally add years back to your life.